تبرز إصداراتنا الصحفية العديد من إنجازاتنا الأخيرة وكذلك الفعاليات والشراكات وأكثر من ذلك. كن على إطلاع بما نقوم به من خلال مراجعة إصداراتنا الصحفية. 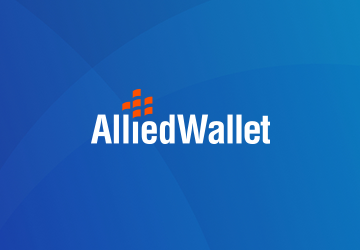 LONDON--(BUSINESS WIRE)--Allied Wallet, a leading provider of online payment processing offering various payment solutions in 196 countries all over the... "Allied Wallet Named #1 Online Payment Platform of the Year by Acquisition International"
LONDON--(BUSINESS WIRE)--Allied Wallet, a leading provider of online payment processing offering various payment solutions in 196 countries all over the... "Allied Wallet Connects to Millions in One of Latin America’s Largest E-commerce Markets"
LONDON--(BUSINESS WIRE)--Allied Wallet, a leading provider of online payment processing offering various payment solutions in 196 countries all over the... "Allied Wallet Connects Its Platform with 200+ Million in Brazil"